What boy names in 2015 have parents chosen for their baby? The boy names that are popular in 2015. Practical when choosing a name for your baby! Here are the baby boy names that made our top 10 list in 2015. Preparing for the birth of your baby also includes choosing a boy name. Perhaps you have a list of favorite boy names and you and your partner can choose quickly. But what if you do not agree together over the name or you do not know a nice boy's name? Use our practical tool: the-name-selector. Choosing a name is an important task. Your child bears his name his whole life. In determining the first name of your child you need to consider with all sorts of things. Tips! Of course it is important that you find a nice name, but also that it fits your names. Choose one name or more than one? 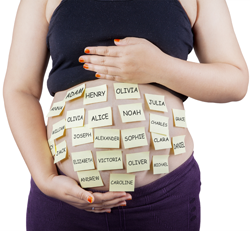 Do you like a Dutch children's name or example rather an English name, a French name or biblical name? Popularity is also something to consider when you choose a boy's name. Do you want your child in the classroom with three other guys who have the same name? Every year we publish a list of The most popular boy names of 2019. One can see that the name of your baby in the top 10 of boy names that are most popular. But ... you know will know it afterwards. Of course you can see the lists of previous years which names stand tall, but it would of course be better if you know in advance what name will be 'hot' and what name 'not'.